Daniels High Park – Bousfields Inc. Retained by Daniels HR Corporation, Bousfields provided planning services for the proposed development by High Park. The proposal is for a mixed-use residential building with retail at grade. The proposed total gross floor area is approximately 32,301 square metres with elements ranging from 9- to 14-storeys, including two corresponding wings stepping down southward to Bloor Street West with a street-oriented open space in between. 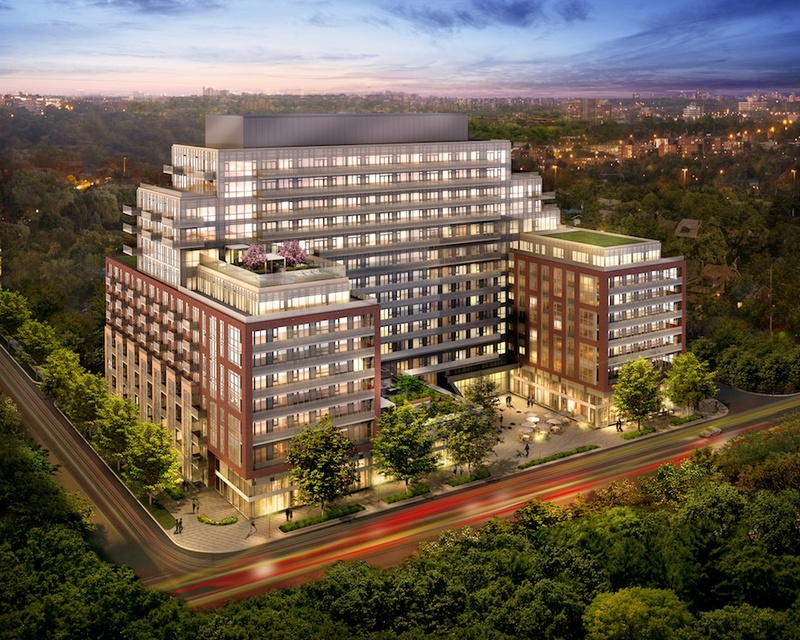 The development will contain approximately 407 residential units, including 12 grade-related townhouse units, with indoor and outdoor amenity space on various floors. The site has excellent access to transit and existing infrastructure and the proposal is consistent with policy direction that supports intensification and infill on underutilized sites within the built-up area. Bousfields was responsible for the Planning Rationale, the Community Service and Facilities study and the Avenue Segment Study. Tony Volpentesta provided evidence at the Ontario Municipal Board Hearing. The project was approved in 2013.